A. Groeneveld B.V. de specialist in groei en leg! Op 9 april hebben wij weer een schip speciaal veen gelost om mengsels te kunnen maken die meer geschikt zijn voor de zomer. Dit veen mengen wij 30 % bij in het standaard mengsel onderlaagmix. A. Groeneveld B.V. is specialised in the production of wurm feed and substrates needed to breed wurms. We have the longest trackrecord in the Netherlands when in comes to creating the best wurmfeed and all other related ingredients to run your wurmbreeding. Needless to say that we are very proud of it! As a family company, the Groenevelds are actief in the wurm branche since the beginning of the '80s. Click on the image on the right for a short video presentation of our daily activities. 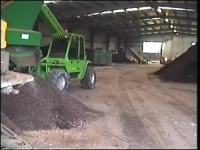 Due to our excellent position in the market, A. Groeneveld B.V. has the possibilities to buy large amounts of so called "vermicompost" (a.k.a. wurmhumus). This allows us to offer a wide range of exclusive soil-improvement products. Our products can be found in any of the countries The Netherlands, Belgium, Germany, United Kingdom, Luxembourg and France. Powered by Van Herpen Automatisering & Consultancy website beheer en realisatie.